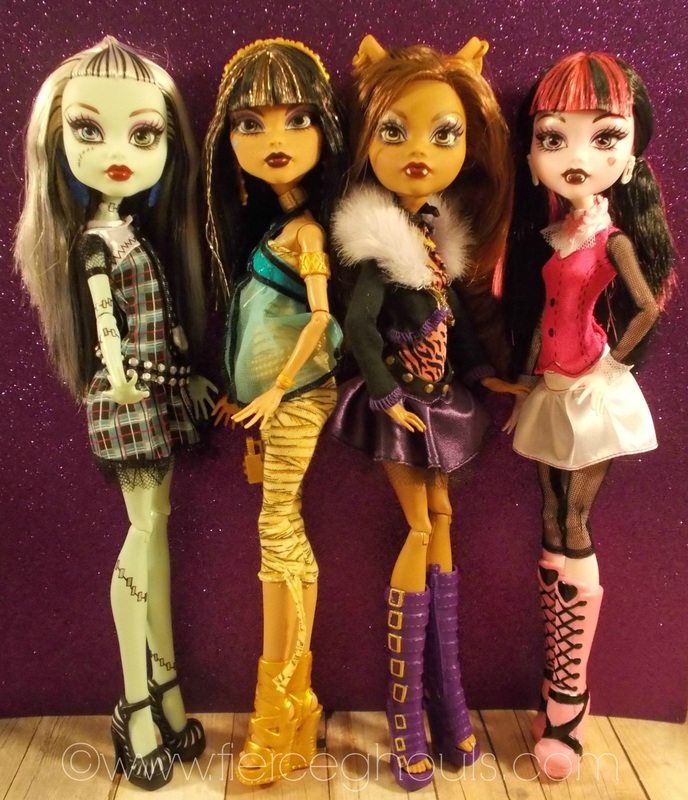 Fierce Ghouls is a Monster High doll collector & fan site. Monster High Dolls are inspired by monster movies and horror fiction. The dolls are the "offspring" of famous Universal Monsters such as Dracula, Frankenstein's monster, The Phantom of the Opera, Zombies & more. I will feature progress on my Monster High Dollhouse projects, including tutorials, videos, photos, reviews, room tours, links to websites, blogs, free printables designed around the Monster High Dolls and anything else I find related to Monster High Dolls that I find interesting and/or useful. I update frequently so make sure to visit often! ​Follow , Like & Subscribe by clicking the links below. I offer free printable Monster High inspired doll scrapbooks, photos, spooky labels for potions, pizza boxes, popcorn boxes & magazines!